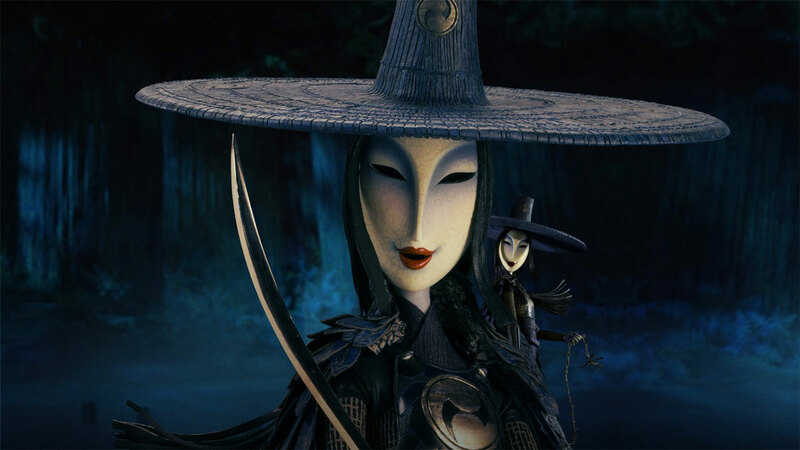 First time director Travis Knight directs the vocal talents of Charlize Theron, Matthew McConaughey and Art Parkinson in the animated feature film Kubo and the two strings. A young boys adventure to find the mythical armour that would protect him from his grandfather the moon king who killed the boy’s father and left his mother a mere shadow of her former self. This is an animated movie but by no means a children’s tale. The opening line “Blink now if you must” gives us a precursor of the dark things to come. We are introduced to Kubo a precocious little boy who takes care of his mother who suffers from memory lapse ever since she smashed her head while trying to escape her sisters and her father the moon king. During the day he goes into the market of a village near by and earns a living by telling fantastical tales of a legendary warrior Hanzo. The tales he tells come alive with the origami creatures he creates and the music of his Shamisen. But Kubo must return to his mother in the cave they live in before sundown, one day Kubo stays out beyond his curfew and that’s when all hell breaks loose. His evil twin aunts voiced by Rooney Mara attack Kubo and his mother comes to his rescue and tell him to go find the mythical magical armour to protect him from his aunts and his grandfather. On this quest Kubo is joined by a Monkey voiced by Charlize Theron and a Samurai Warrior trapped in the body of a beetle voiced by Matthew McConaughey. What follows is a journey interspersed with action and humour. The action is dark and violent and probably not suitable for the little ones and the humour is crisp, dry and perfectly timed and again more suited for a more mature audience. There was a particular joke which after it landed took me a second to get it and had be laughing for a solid few minutes after it. The writing is seriously brilliant. The myths and legends of Japanese folklore are woven into the narrative seamlessly. The animation is spectacular especially the origami bits. The evil twins are truly terrifying with their porcelain masks. The one aspect where the movie suffers is the pacing. In parts the story seems to drag slowly and in others it seems to be in a rush to conclusion. For instance the scene with the giant skeleton seems overlong and the final scene seems rushed to conveniently conclude the story. But it is offset by the brilliant reveal of the true identities of the monkey and the beetle and how wonderfully that plot point is handled. This year hasn’t necessarily been the most spectacular for animated features. With the exception of Pixar’s Finding Dory the genre has been mostly lacking. Dreamworks is developing silly Trolls script to fuel a toy franchise. 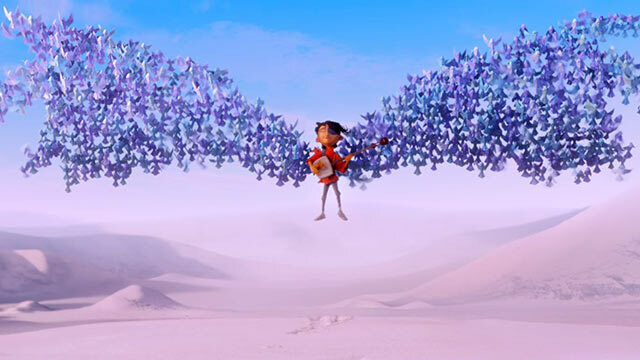 Laika studios has thankfully stepped up to the plate and delivered a compelling and adult focused animated feature length film. If for nothing else watch it for the spectacular origami magic sequences and stay for Regina Spektor’s rendition of Beatle’s classic “While my guitar gently weeps” as the end credits roll.